By Chris Scott Barr on 06/01/10 • Leave a comment! The year 2015 is slowly creeping up on us, which means there isn’t a lot of time for certain promises to be fulfilled. Flying cars, self-lacing shoes and of course, hoverboards. We’ve yet to see any real improvements on these technologies in the last 25-years, not enough to make me think we’ll see any of these in the next five years at least. The only way we’re going to get close to owning such things is to build awesome replicas, like this hoverboard. Unlike most replicas I’ve seen, this board has one very unique feature. It actually hovers. Sadly, it only does so when placed upon a very special pedestal. It uses a pair of electromagnets and a laser system to keep it in place an inch or two in the air. It’s not powerful enough to hold the weight of a person, only around 4.5lbs. Still, just sitting there it looks like a perfectly functional hoverboard. Is it a perfect replica? No. Would it still be awesome sitting in your house? Yes. LEGOs were a staple in almost every geek’s childhood. I still have mine, and continue to collect more over time. 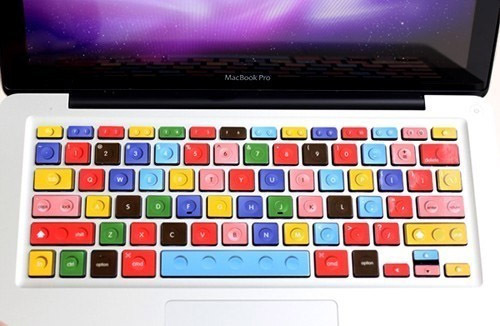 If you’re an exceptionally devoted LEGO fan, why not transform your laptop’s keyboard into a set of those wonderful little bricks? An Etsy user named openandclose has offered up sets of stickers that look like LEGO bricks. Stick these on your keys and you’ll be overcome with nostalgia every time you pull out your laptop. A set will only run you $15, and the creator says that they’ll easily come off and not leave a mess, should you choose not to use them. Thanks to hundreds of cable specialty channels with thousands of hours to fill every week, I get to watch reruns of all the classic sitcoms and TV shows I grew up with back in the 80’s. For the most part I’m left feeling that the first 18 years of my life could have been considerably better spent, except when it comes to a particular show about a crack commando unit that was sent to prison by a military court for a crime they didn’t commit. That’s right, while MacGyver couldn’t use a paperclip and an elastic to make his show withstand the test of time, I’ll never tire of the A-Team, even the crappy final season where they ended up working for the man. 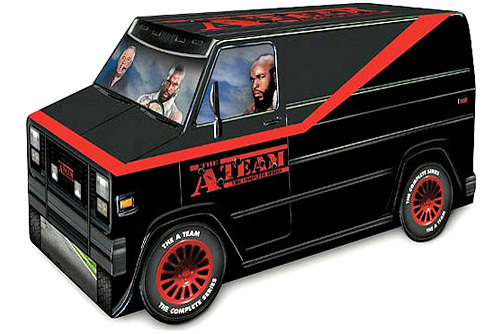 I’m sure the crazy homebrew gadgets and vehicles they cooked up on a weekly basis were part of the appeal, but let’s not forget that badass GMC van that’s so much a part of the show that Universal created this over-the-top DVD packaging based on it. Goodbye shelf space, hello Hannibal, B.A., Face and Murdock. The 25 disc set will be officially released on June 8, but you can pre-order it now from Amazon for $89.99. While not the first video game in existence, Pong was the first widely-successful video game and is responsible for kick-starting the video game industry. It’s natural to want to pay homage to this gaming legacy in a variety of ways. 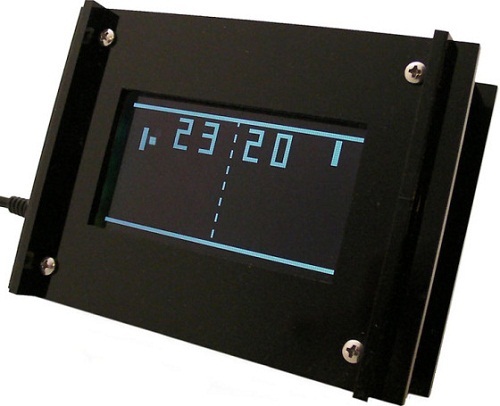 We’ve seen a few Pong clocks in the past, but this is the first DIY kit I can recall coming across. Not only does this purchase net you a cool clock that will make you the envy of your geeky friends, but it gives you a fun little project. It’s a fairly simple kit that even a beginner should be able to tackle in 2-3 hours. There’s just something about the satisfaction you get when you assemble something like this on your own (even if it did come from a kit). The going rate for one of these is $80, but unfortunately you’ll have to be patient. It looks like everyone else wanted one to, as they’re currently sold out. Foosball is one of those timeless games that will probably never go away. I mean who doesn’t enjoy batting around a ball with a bunch of plastic guys on sticks? Well if you don’t have room for such a table anymore, you can still decorate your house in honor of the game with one of these Offside Foosball Coat Hangers. When you think about it, the design is actually rather brilliant. When not in use the men will be standing straight up, and when something is placed on one, the feet lean against the wall to make a nice hanger. The men slide back-and-forth so that you can take full advantage of all hangers when you have a large coat hanging from one. Granted, for the price of just over $100, you could buy a cheap Foosball table. 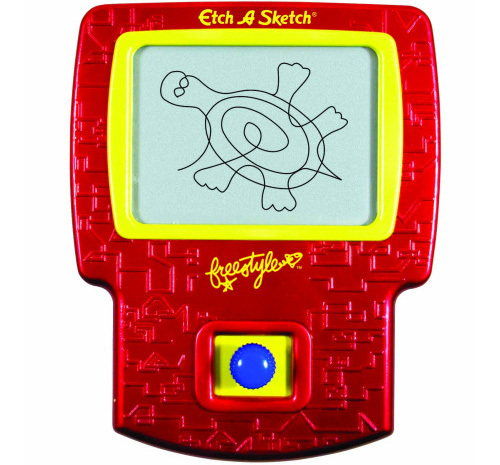 Etch A Sketch Freestyle – Wrong! Wrong! Wrong! What the crap is this?! Another attempt to modernize the Etch A Sketch? Please listen to me Ohio Art, the Etch A Sketch is a classic toy with a simple concept that has made it popular for almost 40 years! We actually like the limitations imposed by drawing with two dials. Sure the new single controller knob on the Freestyle allows you draw loops and curves that aren’t horribly aliased, but that’s the charm of the original Etch A Sketch! It was remarkably satisfying when you managed to draw a circle that actually looked like a circle! As far as I’m concerned this is just cheating. It’s like buying a pre-written essay on the internet for college, but this only costs $14.99, and won’t get you kicked out of school. Cassette tapes have little to no useful purpose in today’s world. Sure, in their prime you would record sappy love songs to give to your girl/boyfriend, or just listen to your favorite album. With CDs (and more importantly) digital media, these ugly plastic rectangles are little more than a memory of better days. Of course if you’re feeling nostalgic, you can always get one that’s been re-purposed into something a little more useful. 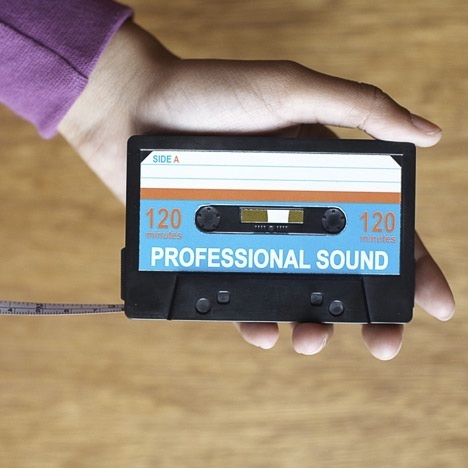 We’ve seen MP3 players and USB hubs tucked away inside one, but what about a low-tech device? The Cassette Tape Measure is another one of those ideas that makes you wonder why you didn’t think of it. Okay, maybe it’s not the most practical of applications, but it is pretty cool. I’ve no idea how long the tape is, as the only numeric value is 120 minutes. Not sure how that translates into inches. We do know that it will only take $8 to get this strangely appealing tape measure. Chess is a rather timeless game. I can think of few other games that are just as old and are still played as much as this one. The best part is that the game pieces can be modified to reflect just about any part of pop culture. This particular set has a Super Mario theme. This $40 set would be go well in the house of almost any video game geek. 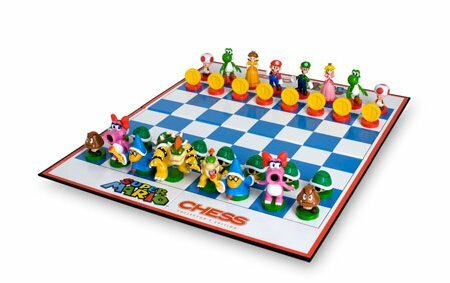 You’ll find many of the classic characters ready to duke it out on the board. There are two things that I find rather odd. First, the pawns seem to be represented by coins. Since when are coins used as a weapon? Second is that you’ll find Luigi in the queen’s spot. This just raises a whole host of questions that I’m not even going to touch. In case you weren’t aware, the Transformers franchise is celebrating its 25th anniversary this year. To commemorate the anniversary, Toshiba is releasing a new line of mice and USB flash drives. As you would imagine, there is more than meets the eye with each one. 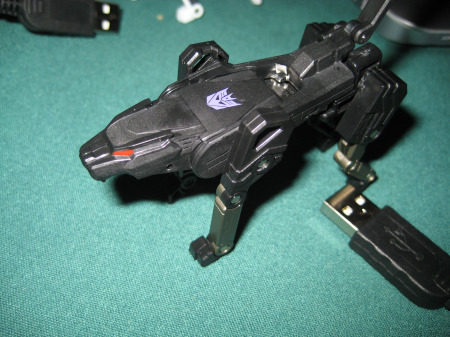 All will be fully transformable, and will set you back $50 each. Kids and huge fans of the series might enjoy them, but $50 is a bit much methinks. They haven’t released a lot of details, such as the capacity of the USB drives, though we do know these will be out before the holiday season.